This is a small pop-up in Market Row just next to Salon. We have passed it several times and it has always been full or filling up but on this Friday night it was empty when we arrived and they were “just setting up”. This was a bit of a surprise as it was after 7.00pm and they were clearly missing the first wave of people eating before going off to the Ritzy. They also told us that they had no food except bar snacks – so we left to get something to line our stomachs. On our return through the market we popped in again. This time there were a few others – now about 8.00pm – we were still worried that this place would not survive. 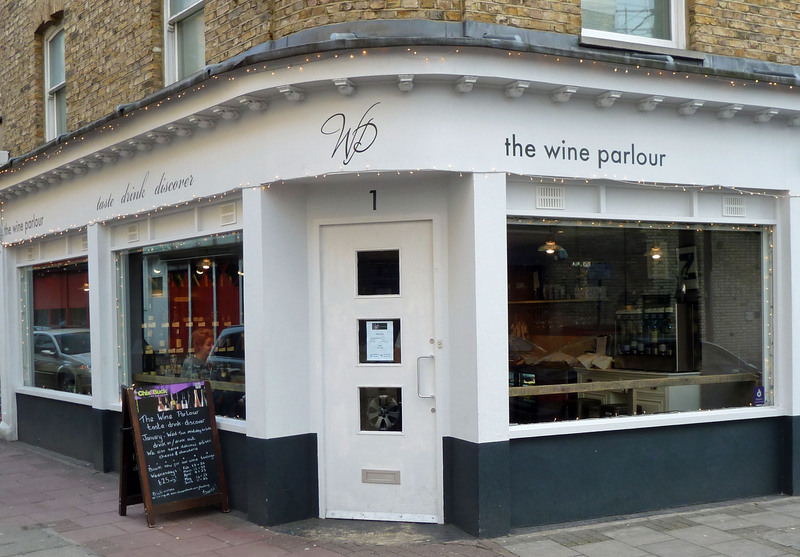 The Wine parlour is a new concept in Brixton… a bar with cheese and sausage …..well not quite so new; Champagne and Fromage opened a few months ago in Brixton Village. But the difference really is that this establishment does not sell the charcuterie, it sells the wine. You will not miss this place as you head into Atlantic Road. It is the place on the corner with all its windows outlined with fairy lights. The small interior is laid out with tall metal stools up against wooden boards under the windows where you can balance plates and glasses. When we arrived at 6.30 it was empty but within 20 minutes it became crowded with no chairs to spare. 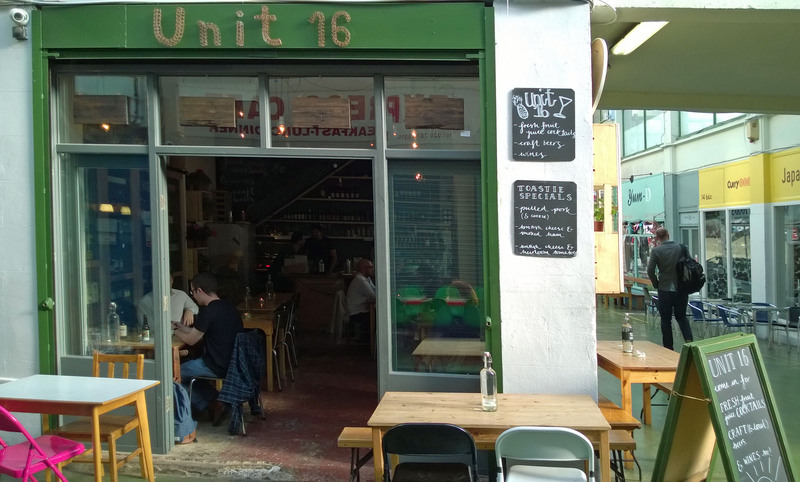 This is a mixed crowd – not quite the same clientele as in Brixton Village and it is inside, so another bonus – it’s warm.